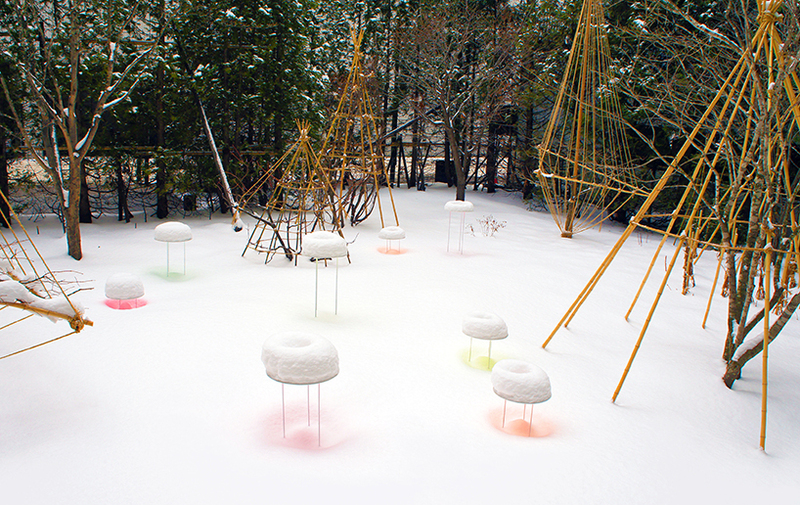 toshihiko shibuya is a japanese environmental artist whose works consistently draw connections to the artist's own upbringing in the northern city of sapporo, japan. 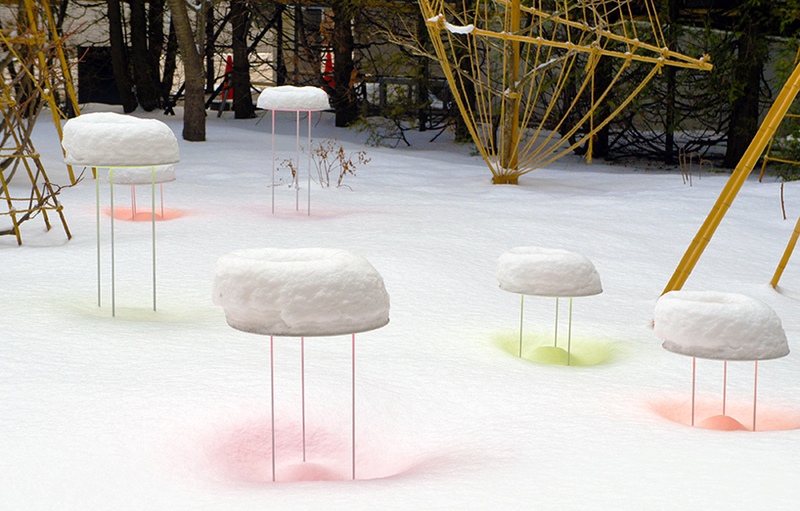 toshihiko shibuya keeps on overmastering nature’s will and installing colorful pieces in open environments, creating unique artworks in sapporo, hokkaido, japan. 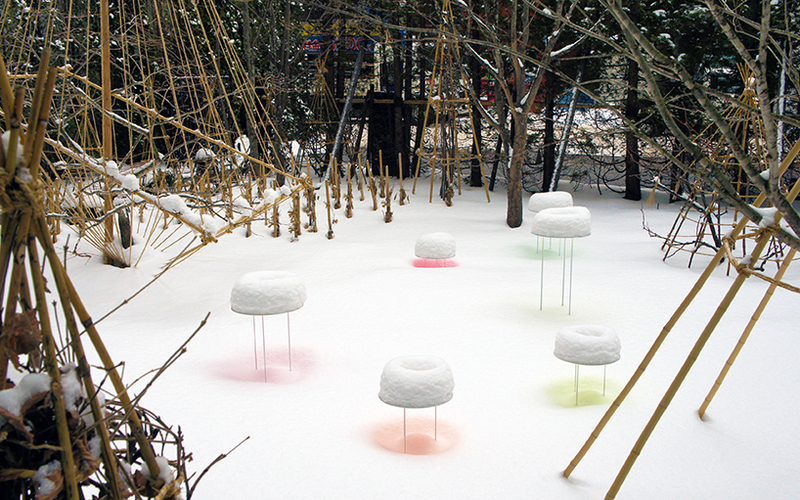 ‘snow pallet 11’ sets multiple circles with holes in the center that — after a snowfall — form white piles in shape of doughnuts. 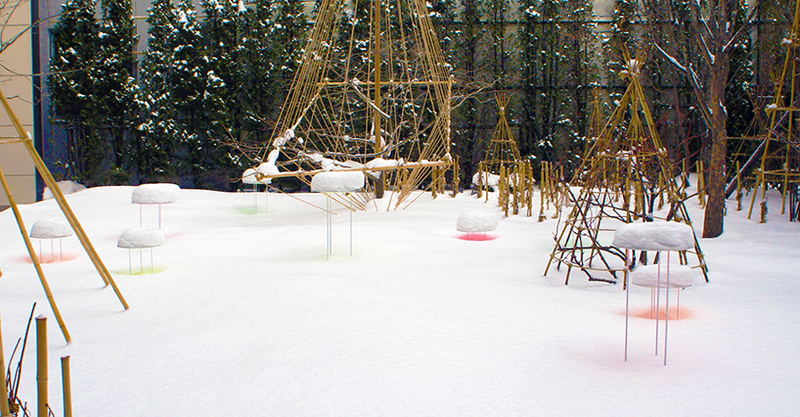 the bottoms of the circles are — as always — painted in different colors to reflect in the snow. 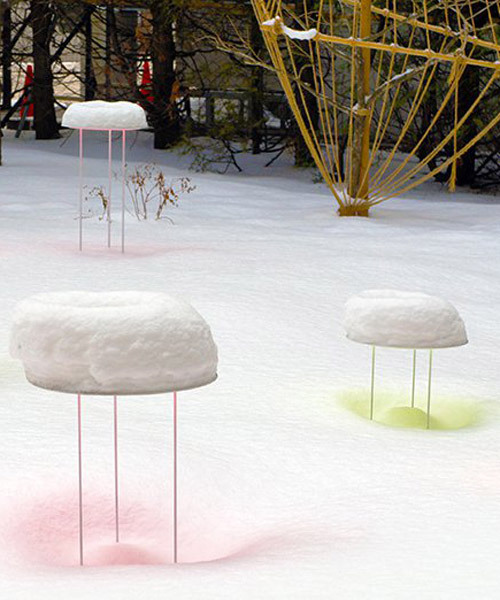 snow pallet is a series of artworks with fluorescent paint applied to the bottom of an object in order to express the snow’s vivid reflection by its surface. 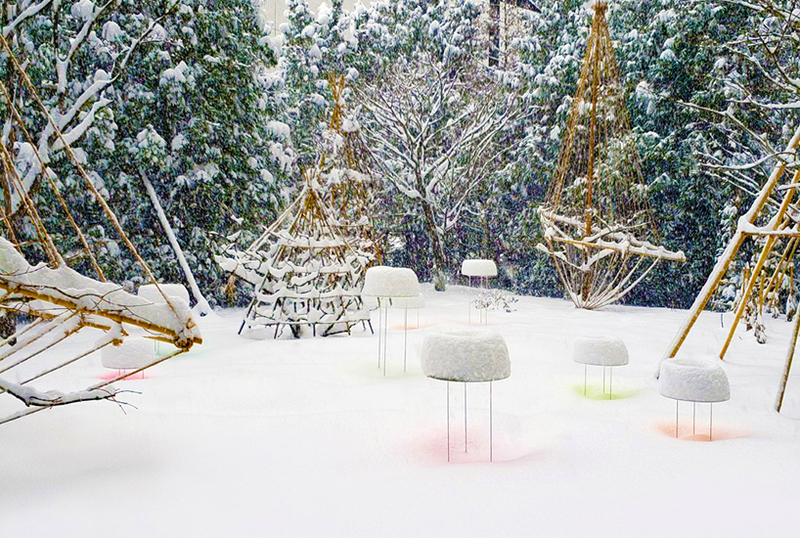 it is an installation that changes the landscape from time to time according to the amount of snow and sunlight, and by the number of objects of different heights. as he explains, in his works shibuya tries not to control nature, but nestle close to it to use it cleverly. 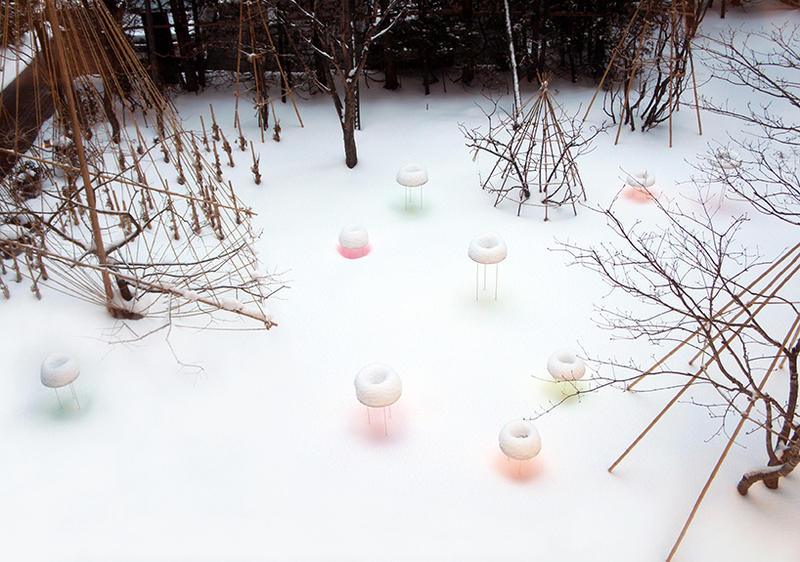 he hopes the work will start a new approach to thinking about winter — everybody tends to hate it, but if you change your point of view, the possibilities for the future are wide open. 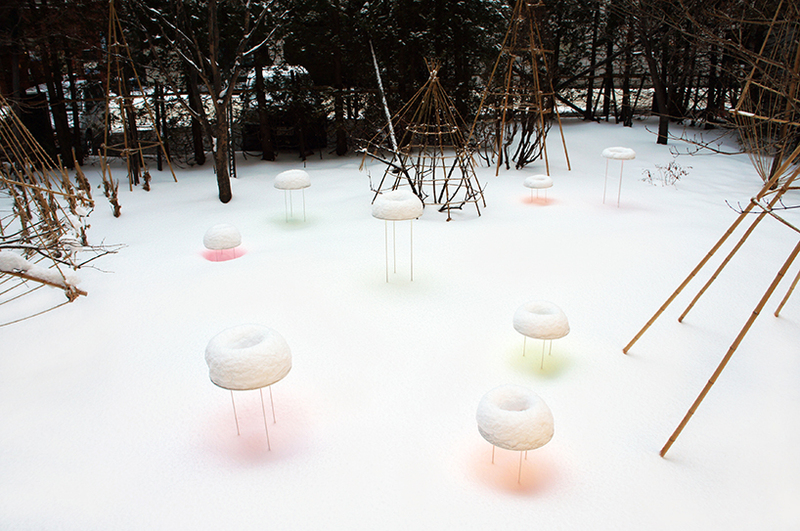 I am in Sapporo and would like to know where I can see this. Is it open to the public?